The relaunch of the Prediabetes Awareness campaign on CBS media, which kicked off this week, has expanded to include a full menu of Spanish content. 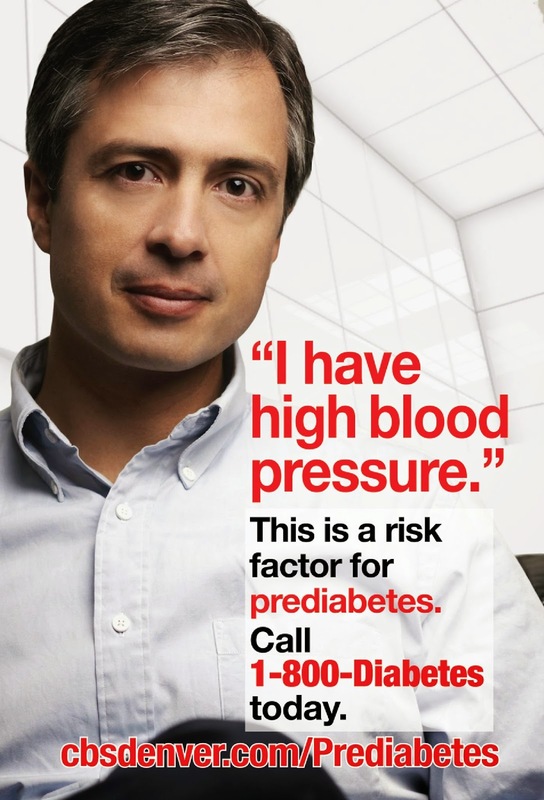 The campaign also highlights hypertension as a prediabetes risk factor. Long-term damage to the cardiovascular system may occur while a person has prediabetes. According to the CDC, up to 20% of deaths from heart attack and 15% of deaths from stroke are related to diabetes or prediabetes. Understanding and managing risk factors can help people delay or prevent diabetes and live a longer, better life. Making a few small changes to eat healthier and be more active can make a big difference. The evidence-based Diabetes Prevention Program effectively helps support these lifestyle changes and can cut the chance of developing type 2 diabetes in half. Click here to learn more about the diabetes and heart disease connection. Click here to find a recognized Diabetes Prevention Program in Colorado.